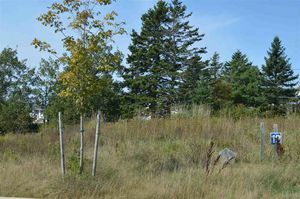 Lot 12 16 Kenyatta Drive, Eastern Passage (MLS® 201823600): Welcome to the beautiful, scenic community of Eastern Passage. Just minutes from Downtown Dartmouth this vibrant community offers gorgeous water activities including the boardwalk and quaint shops at the 200 year old Fisherman’s Cove to the great walking trails with outstanding views at McCormacks Beach Provincial Park. Close to Shearwater the neighbourhoods have drawn in both Military personnel as well as those who wish to live just outside the rush of the city. This lot offers you the opportunity to build your dream home, to your specifications, on a quiet cul-de-sac that has just been developed and is presently under construction with other new homes. The street offers municipal water and sewer to the lots and the street is fully paved. We would be happy to assist you in connecting you with a builder and help you with the process from start to move in!! Call with any questions you may have.